The barbarians were fatal for the Western Roman Empire, so it was imminent that this massive empire would fall. The stunned people were melancholy because they had lost their land. Interestingly, some intrepid parts of the Eastern Roman Empire, which had a brilliant capital city called Constantinople, withstood the tenacious attacks of the barbarians: this was called the Byzantine Empire. In 527, Justinian the Great, who wanted to restore the glory of the Roman Empire, rose to power. So, his resolved armies fought and recaptured some land that had been stolen. This emperor intently gathered Roman laws into the Justinian Code, which made all the laws around his kingdom the same. 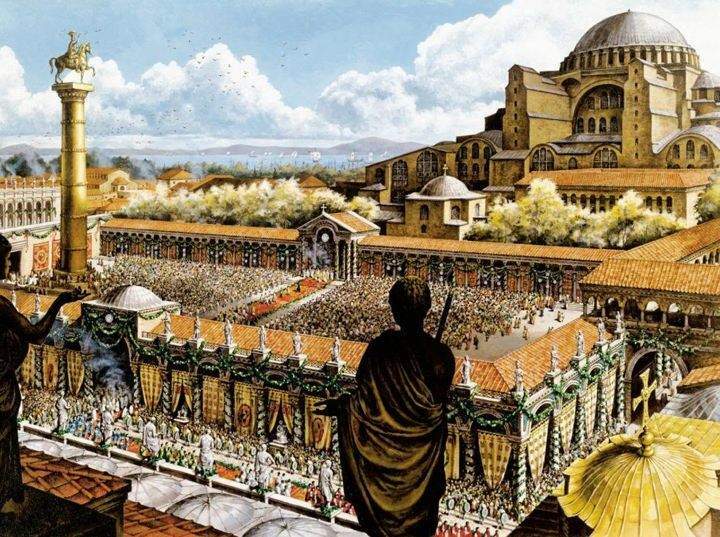 Justinian’s once desecrated and dilapidated empire flourished, and Constantinople became the most majestic city in the world.